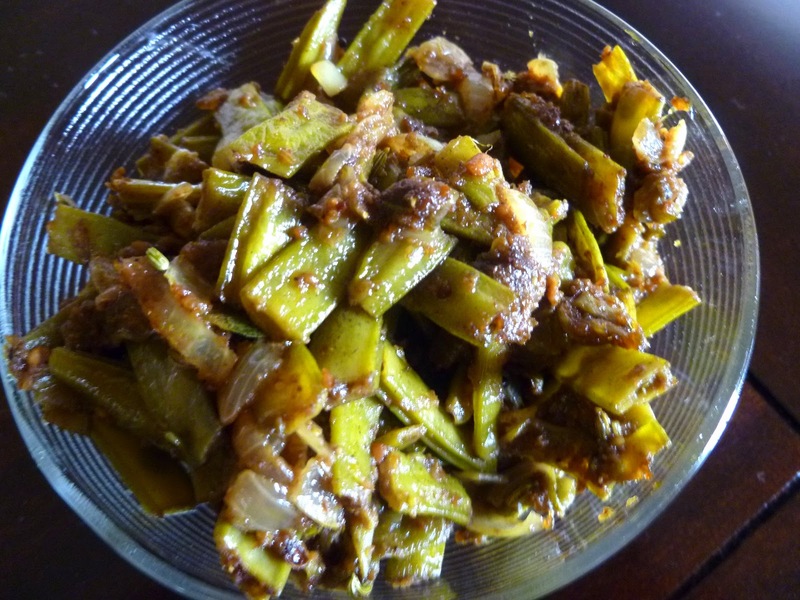 Amara Payar /Guvar Phalli like which baigan , you either like it or hate it . I happen to like it and my family likes it too :). I used a new masala Fenugreek masala from madhoosfood.wordpress.com for this preparation and loved it. Dry roast each ingredient till fragrant and grind it to powder. Take half a cup of water in a sauce pan. Add amara payar , salt , turmeric . Cook till tender , drain and keep aside. Heat oil and add saunf and cook for 30 secs. Add onion and cook till onion turns light golden. Add the aam choor, fenugreek masala and garam masala. Add drained amara payar and mix well. Cook for few minutes , till all the masala gets mixed with the vegetable. Wonderful dish totally new to me... what is aam choor..? rply me pls. Delicious curry, i can have it with a bowl of rice.. So good!! would love to try this... like the spice mix very much!! I love the warming & sweet aroma, fenugreek brings to curries.This curry looks so healthy & delish, but where would I find the amara payar?